Standing looking over the rolling fields of part of the UK and it won’t be immediately obvious what bedrock the soils are sitting on. But the clues are there if you know where to look. Soil colour is one clue, but if you ignore the brick that most modern homes are built with now and find the older houses in your local area and you will find the stone that has been hauled out of the ground to build them. These buildings fit really well in the landscape, for example, the warm coloured Cotswold houses, the cool greys of Portland limestone and the darker grey granites of Aberdeen show the bedrock off in all its glory. 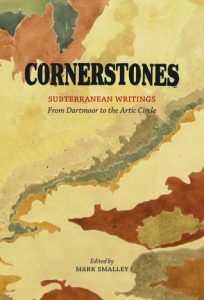 This collection of essays from a wide variety of writers, poets and artists has been adapted from the BBC Radio Three series, Cornerstones. In here you will find Sue Clifford, one of Common Grounds founders, talking about limestone, Fiona Hamilton contemplating the brick, Paul Evans standing in a wood holding a horsetail that made up the coal beneath his feet 300 million years ago. Tim Dee writes about his own personal rock, a rock that nearly killed him and Linda Cracknell is entranced by the sparkle of quartz as people have been for millennia. Peter Randall-Page talks art and Dartmoor granite and Neil Ansell begins in Balcombe in West Sussex where they are starting to frack, before heading to Kimmeridge to see the same oil shales and see the unexpected sight of a metronomic nodding donkey. 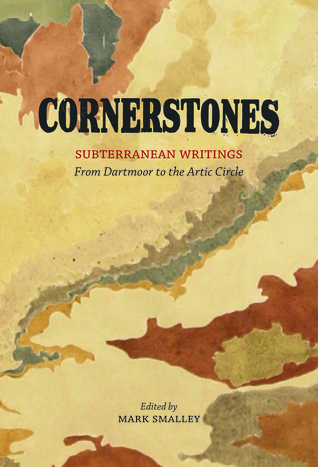 This is just a taste of these captivating essays in here from a great selection of authors and this is another cracker of a compilation from Little Toller, following on from Arboreal a couple of years ago. Even though it is all about rock, the contrasting subjects tackled from a wide variety of views ensure that there is always something to interest you in every essay. Before you venture out in your local area next time, find out what the bedrock is (check here) have a look around at the soils and see how your landscape is shaped. Highly recommended. The Radio Three essays that inspired this book are still available to listen to here. This sounds brilliant! One for the Christmas wish list, I think.